With conference play in full swing, we take a look the early NCAA tournament locks and the many teams that are just beginning to build their résumés for the Big Dance. Welcome to the first SI.com Bubble Watch of the 2016–17 college basketball season. There are still two months of basketball remaining between now and Selection Sunday, and the bubble won’t really start to take shape for at least another few weeks. Even at this early stage, we can start to identify the teams that are likely to be sweating out that hour-long made-for-TV drama when the brackets are revealed. SMU (14–3, 4–0) and Cincinnati (13–2, 3–0) will be in the field of 68, but they’re the only sure teams from the conference. The AAC will likely get another bid or two, but it’s hard to see more than four making it to the Big Dance. Houston (12–4, 3–1) has the next-best ranking on kenpom.com at No. 41, and is in the best shape early on in conference play, among the second-tier teams in the AAC. They came up short with a chance for a résumé-building win against Cincinnati at home over the weekend. The question for the Cougars, as well as the AAC’s other at-large contenders in Memphis (12–4, 2–1) and UCF (12–4, 3–1), is whether they can build a worthy résumé without a win or two over Cincinnati and SMU. The Cougars visit SMU on Jan. 21, but will play both Memphis and UCF in the interim. Those are huge games, because there likely won’t be room in the field for all three of them. Memphis doesn’t have a terrible loss, and likely has the best win of the trio, a 70–54 victory over South Carolina on Dec. 30. The Tigers visit Tulsa and host South Florida this week. It’s far too early to call any game a must-win, but the Tigers aren’t likely to have the capital built up in March to explain away a loss to AAC also-rans. UCF’s only game this week, meanwhile, is at home against Houston on Saturday. That’s a big one in the first-third of the conference slate for both teams. It pits the conference’s most efficient offense (Houston), by kenpom.com’s adjusted offensive ranking, against its second-best defense (UCF). Among the eight conferences likely to get multiple tournament bids, the A-10 ranks eighth in kenpom.com’s rating system, about halfway between the seventh-ranked AAC and ninth-ranked Mountain West. There’s certainly a realistic scenario where Dayton (12–3, 3–0) dominates the conference during the regular season, wins the conference tournament, and ends up as the only A-10 team in the tournament. It is unlikely, but at this point the Flyers are the only team headed comfortably for at-large worthiness. VCU (13–3, 3–0) was the only other A-10 team in the SI.com field of 68 this week, and that provides the best illustration of where the conference stands as a whole. The Rams’ best nonconference win was either over Middle Tennessee or Princeton, depending on what you think of those teams. Rhode Island (10–5, 2–1) beat Cincinnati on a neutral floor, but that is its only win this season against a team capable of earning an at-large bid. These Rams nearly added a notch to their best at Dayton last Friday, but came up just short. As it stands, those are the only teams in the A-10 that can be argued for as at-large contenders. Davidson (8–6, 1–2) and St. Bonaventure (10–5, 2–1) could enter the picture with a few strong wins in the conference, but neither owns a win over a top-100 kenpom.com top-100 team yet. Like the AAC, the A-10 is weak as a whole and provides precious few opportunities for résumé-building victories. This may be no more than a two-bid league. Once again, the size and strength of the ACC makes it the conference with the most sure-fire best to make the tournament early on in conference play. We will not spend any time talking about Duke (14–2, 2–1), North Carolina (14–3, 2–1), Florida State (15–1, 3–0), Louisville (13–3, 1–2), Virginia (12–3, 2–2) or Notre Dame (14–2, 3–0) in the Bubble Watch, and they’ll likely be joined by a few of their conference brethren sooner rather than later. The ACC could get 10 teams into the tournament, with Boston College and Georgia Tech its only teams without hope of an at-large bid. Clemson (11–4, 1–2) is 24th in the kenpom.com ratings although, to be fair, the Tigers do not have a win over a safe at-large team yet. They did well for themselves out of conference, notching wins over Georgia, South Carolina, Nebraska, Davidson and Colonial power UNC-Wilmington, they’re going to need to build their résumé in the conference. Luckily, the ACC will provide them with ample opportunity, starting this week when they host Virginia on Saturday. Miami (11–3, 1–1) has left itself even more work to do in the conference after playing a weak nonconference schedule, during which they lost to the only two at-large contenders (Iowa State and Florida) that they played. Their best nonconference win was against George Washington, and they’ve already dropped one conference game to a fellow bubble team. That was Syracuse (10–6, 2–1), which at least took some shots out of conference. They fell in all of those games, with their best nonconference win coming against Monmouth, but they’ve started conference play with victories over Miami and Pittsburgh (12–4, 1–2). Despite that loss to Syracuse, the Panthers have put themselves in a good spot here in early January. They have nonconference wins over Maryland and Marquette, and knocked off Virginia in overtime last week. They do have an unsightly loss to Duquesne, but they’re on solid footing after three ACC games. They’ll spend the week visiting Louisville and hosting Miami. 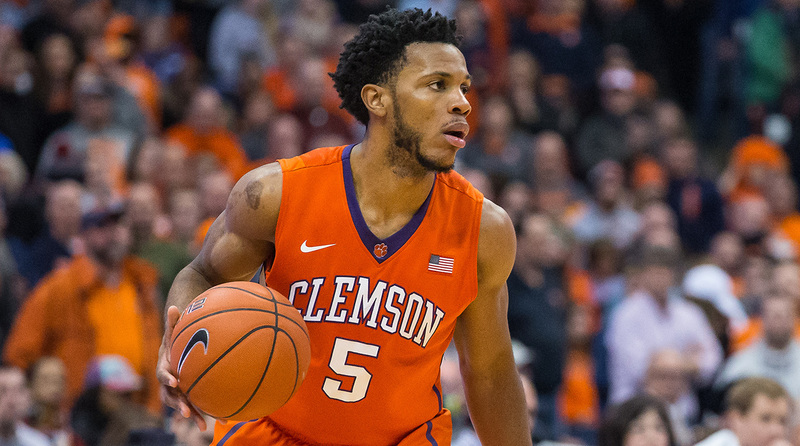 A couple of ACC teams have realistic chances to end multiyear NCAA tournament droughts. Wake Forest (10–6, 1–3) hasn’t been dancing since 2010, but coach Danny Manning has the program headed in the right direction in year three. There’s still a lot of work to be done this season, evidenced by an 0–5 record against certain, likely or potential at-large teams, but they’re in the right conference to do such work. They’ll get a shot at adding to the résumé when North Carolina visits Winston-Salem on Wednesday. Virginia Tech (12–3, 1–2), meanwhile, hasn’t been in the field since 2007, and already sports a signature win over Duke. Add to that a nonconference road victory over Michigan, and the Hokies are starting to piece together a résumé that could realistically net an at-large bid. They have a great chance to strengthen that case with a pair of winnable home games against Syracuse and Notre Dame this week. Finally, NC State (12–4, 1–2) is on the at-large radar, but is in danger of falling off early in the conference season. The Wolfpack didn’t challenge themselves significantly in the nonconference portion of their schedule, and lost their only two games against kenpom.com top-100 teams, Creighton and Illinois. They can’t afford to fall to Boston College or Georgia Tech, the conference’s co-doormats, this week. You won’t see any discussion of Kansas (14–1, 3–0), Baylor (15–0, 3–0), or West Virginia (13–2, 2–1) in the Bubble Watch at any point this season, save for this short disclaimer. Those three will all go dancing, possibly all as top-15 teams in the country. The conference isn’t quite as deep at the top as it has been in recent years, with that trio clearly separating itself from the rest of the pack, but a handful of other Big 12 teams will be seen as safely in the field by Selection Sunday. We’ll take them here in order of kenpom.com ranking, starting with No. 28 Iowa State (10–4, 2–1). The Cyclones just missed what would have been an enormous win at Baylor last week, falling 65–63. The two best wins on their résumé right now came against Miami and Texas Tech, and they have a big week ahead against two teams in their tier in the conference, Oklahoma State and TCU, both on the road. This isn’t the sort of offensive machine we’ve come to know in Ames over the last few seasons, but they’re still guided by the steady hand of senior point guard Monte Morris. It’s likely that they’re off the bubble by the end of February. Next up is 29th-ranked Kansas State (13–2, 2–1). The Wildcats, too, nearly pulled off a huge upset, falling by two points to Kansas in Lawrence. If one at-large contender in the Big 12 needs to do heavy lifting in conference play, it’s likely the Wildcats. They played a terrible nonconference schedule with just one game against a potential at-large team. They lost that game to Maryland. Texas Tech (12–3, 1–2) checks in at No. 30 on kenpom.com, thanks in part to an overtime win over West Virginia last week. The Red Raiders, too, had a terrible nonconference schedule, but they’ve already scored the brand of win Kansas State narrowly missed at Kansas. The two play each other on Tuesday in Lubbock. That’s a big game considering there may not be room in the Dance for both of them. The No. 32 team is Oklahoma State (10–5, 0–3), which has lost understandable games to West Virginia and Baylor but may come to regret giving one up to Texas last week. They came into conference play with some goodwill resulting from wins over Georgetown and Wichita State, but that isn’t going to be nearly enough to get them in the Dance. They have a big week with games against Iowa State and at Kansas. Finally, 37th-ranked TCU (12–3, 1–2) has its best chance in years to get back to the tournament for the first time since 1998. Coach Jamie Dixon has done an excellent job in his first year with the Horned Frogs, putting them in a spot where they can realistically think about the tournament. The attrition of conference play is going to send one, and as many as three, of these teams to the NIT, or possibly an even lesser tournament. That makes games like Saturday’s Iowa State-TCU tilt huge. There aren’t any easy weeks in the Big 12, and we may not have a great handle on who’s in good position to make the Dance from this conference until the middle of February. From a bubble standpoint, this might be the most boring power conference. Villanova (15–1, 3–1), Butler (14–2, 3–1), Creighton (15–1, 3–1) and Xavier (13–2, 3–0) are all going to the Dance. DePaul (7–9, 0–3) and St. John’s (8–10, 2–3) don’t have any hope for at-large bids. That leaves four teams in the middle of the conference, with two already headed in the wrong direction. Georgetown (9–8, 1–4) owns a great nonconference win over Oregon on a neutral floor. But their only Big East win is against St. John’s, and they’ve fallen to Marquette (10–5, 1–2), Xavier, Providence (11–6, 1–3; the other at-large contender that is already in trouble) and Butler. They also dropped nonconference games to Maryland, Wisconsin and Oklahoma State. The Friars have been run off the floor by three of the four powerhouse teams in the Big East, and lost nonconference games to Ohio State, Virginia and Boston College. Wins over Rhode Island, Memphis and Georgetown, their three best to date, aren’t going to get them into the field. They’re going to need to take down a few of the conference’s big boys, and they’ve already whiffed on three of their eight chances. The Golden Eagles of Marquette don’t have a bad loss on their résumé, with their five reversals coming against Michigan, Pittsburgh, Wisconsin, Seton Hall (12–3, 2–1) and Villanova. Two of those teams (Wisconsin and Villanova) are going dancing, and the other three are in good shape. Still, the committee hasn’t shown a huge appetite recently for granting at-large bids on the “no bad losses” basis. At some point, Marquette is going to need to get an eye-opening win. It’ll get a couple of opportunities next week, when it hits the road for games with Butler and Creighton. 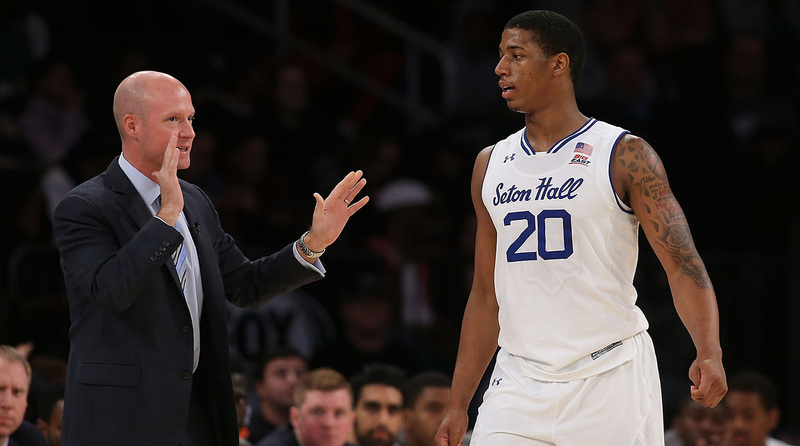 Seton Hall is in the best shape of the Big East’s true bubble teams, and could play its way off the bubble by time this discussion heats up later in the season. The Pirates own nonconference wins over South Carolina and California and have already banked one win over Marquette, which could end up as a pseudo tiebreaker. A .500 record in the conference with a win or two over the top four Big East teams would likely be an at-large formula for the Pirates. The Big Ten is as weak as it has been at the top in years, but it has a glut of bubble teams early in conference play. We know the conference is going to get somewhere in the neighborhood of six bids, but for now the only teams we can safely place in the field are Wisconsin (13–3, 2–1) and Purdue (14–3, 3–1). Indiana (11–5, 1–2) will almost certainly join them and will likely play its way out of the Bubble Watch by early February, but the Hoosiers have to be included for now thanks to a terrible start to conference play. They are wildly talented, as they proved with wins over Kansas and North Carolina. They’ve dropped their three toughest games since, losing to Butler, Louisville and Wisconsin, and also mixed in a home loss to Nebraska. If they continue to falter in conference, that loss to Fort Wayne from early in the year could loom large. Still, this team is too good to not win at least 10 or 11 conference games. Add that to the huge nonconference victories over two of the best teams in the country, and Indiana is a safe bet to be the third team in the dance from the Big Ten. Minnesota (15–2, 3–1) is off to a roaring start in conference, beating Purdue, Northwestern (13–4, 2–2) and Ohio State (10–6, 0–3). The Gophers defense is their calling card, something that will show up every night in the Big Ten. They get a shot at some revenge this week, when they visit Michigan State, which handed them their only loss in the conference to date. Speaking of the Spartans, they’ll likely join Indiana as a team that is out of the Bubble Watch for a positive reason sooner rather than later. Tom Izzo has one of his most inexperienced teams in years, with guards Eron Harris, Tum Tum Nairn and Alvin Ellis the only upperclassmen on the team who play significant minutes. That led to some growing pains early in the year, especially when star freshman forward Miles Bridges was injured. A weekend loss to Penn State certainly hurt, but this team is trending in the right direction. They have a big week ahead with games against Minnesota and Ohio State. College basketball’s most infamous drought has a real chance of coming to an end this season. Nonconference wins over Dayton and Wake Forest are going to help Chris Collins’s chances, but the Wildcats have to hope they don’t regret a two-point loss to Butler and four-point loss to Notre Dame. To do that, they’re going to have to get to double-digit wins in the conference, likely with at least a couple of those coming against the likes of Wisconsin, Purdue, Indiana, Michigan State and Minnesota. They must have a clean week when they visit Rutgers and host Iowa. Michigan (11–5, 1–2) is in a similar spot, without the pent-up frustration of never having made the tournament. The Wolverines did their best work to date out of conference, knocking off SMU and Marquette. But they’ve already lost to Iowa and Maryland in league play and are just 2–4 against likely or potential at-large teams. Michigan is not going to be the brand of team that can afford too many losses to teams without at-large hopes, which may end up describing both of their opponents this week, Illinois (11–5, 1–2) and Nebraska (9–7, 3–1). The Illini did relatively well for themselves out of the conference, knocking off NC State, VCU and BYU, and falling to West Virginia, Florida State and Winthrop (n overtime). The Cornhuskers, meanwhile, have been better in conference, with wins over Indiana and Maryland (14–2, 2–1), both on the road, to go with a strong nonconference victory over Dayton. Both teams have a long road to the tournament, but at this point they’ve done enough to be considered on the early bubble. The Terrapins have mostly taken care of business this season, with that home loss to Nebraska the only real blemish. Wins over Kansas State, Oklahoma State, Georgetown, Michigan and Illinois have them safely on the right side of the bubble. Finally, the Buckeyes are 0–3 in conference with losses to Illinois, Purdue and Minnesota. They shouldn’t be ashamed of any of those, but when you’re best win to date is over Providence, you can’t exactly be racking up moral victories. The Buckeyes have a shot to score the type of victories that will actually matter when they visit Wisconsin and host Michigan State this week. In a way, the Pac-12 is as strong as it has been in years. UCLA (16–1, 3–1) is a true national championship contender, and Arizona (15–2, 4–0) and Oregon (15–2, 4–0) are strong challengers for the conference title. Still, it’s hard to see the Pac-12 getting more than five bids to the tournament. In fact, as it stands right now, the conference’s most likely number of bids is four. USC (15–2, 2–2) should ultimately play its way into the field of 68. The Trojans went undefeated out of conference, though it’s worth noting they played just three top-100 teams. Those wins against SMU, Texas A&M and BYU will help, but will not make, their résumé. That’s what made Sunday’s home loss to California (11–5, 2–2) so damaging. The Trojans aren’t going to have a ton of wiggle room, so they need to beat the teams they’re supposed to, while adding a win or two against the top three teams in the conference to feel safe. The Golden Bears are the conference’s next-likeliest team to get an at-large bid, and it cannot be overstated just how important their victory at USC was. Before that, their best win of the year was against Princeton, and they didn’t have a true road victory. Even with the USC win, the Bears will have to walk a narrow line to make it to the Dance. They need to sweep lowly Washington and Washington State this week. Utah (11–4, 2–1) and Colorado (10-6, 0–3) deserve a quick mention here, but both teams have to do a ton of work in conference to get into the Dance. The Utes best win was over, you guessed it, the Buffaloes. Not including that game, they have more losses to sub-150 kenpom.com teams, one (San Francisco), than they do wins over top-100 teams. The Buffaloes do have an impressive nonconference win over Xavier, but they, too, have far more bad than good on the résumé. They have a huge week ahead with the Los Angeles teams in the Pac-12 visiting Boulder. Does anything ever change in this conference, with the possible exception of the strength of Florida (12–3, 3–0)? The Gators are safely in the field of 68, along with, of course, Kentucky (13–2). The easiest way to handle this conference at the outset of this season’s Bubble Watch is to put the at-large contenders into two buckets. South Carolina (12–3, 2–0) and Arkansas (12–3, 1–2), clearly the two best teams other than Kentucky and Florida, comprise the first bucket. The Wildcats and Gators won’t be the only SEC teams dancing, and the Gamecocks and Razorbacks are the likeliest teams to join them. South Carolina has already notched wins over Georgia and Texas A&M in league play. Nonconference wins over Michigan and Syracuse had the Gamecocks in solid position heading into conference play, and they haven’t done anything to dissuade the committee. So long as they take care of business against teams they should beat, they can get an at-large bid without beating Kentucky or Florida. The same is true of the Razorbacks, and that’s good news considering they’ve already dropped games with the Wildcats and Gators. Their lone conference win to date was at Tennessee, which, again, is fine. Arkansas didn’t play a great nonconference schedule, but they did beat Houston and Sun Belt favorite UT-Arlington, a mid-major team that would have a shot at an at-large bid if it fell in its conference tourney. Arkansas doesn’t have as much wiggle room as South Carolina, but it would take disaster against the conference’s lesser teams for the Razorbacks to get into at-large trouble. The second bucket is made up of every other possible at-large team in the SEC. That includes Georgia (10–5, 2–1), Alabama (9–5, 2–0), Tennessee (8–7, 1–2), Texas A&M (8–6, 0–3), Vanderbilt (8–7, 2–1) and Mississippi (10–5, 1–2). They all played decent enough nonconference schedules, but none has a win on which they can hang their hat. Given the internecine realities of conference play, no more than three, and likely only two, of these teams will emerge with realistic at-large hopes, and there’s no way to handicap which teams will be in that position this far in advance of Selection Sunday. We’ll keep our eye on all of them over the next month before we start to drain the second bucket in the SEC. Gonzaga (15–0, 3–0 WCC) is getting in one way or another, and the same is likely true of Saint Mary’s (14–1, 4–0). That will make BYU (12–5, 3–1) a power conference bubble team’s nightmare, but the Cougars aren’t likely to have a résumé worthy of an at-large bid, short of reeling off a few wins against the best the West Coast Conference has to offer. Wichita State (14–3, 4–0 MVC) is once again the class of the Missouri Valley, but could be in trouble if it falls in the conference tournament. The Shockers went 0–3 against nonconference teams with realistic at-large hopes. Their best win of the season is over an Oklahoma team that is rebuilding after waving goodbye to Buddy Hield last season. Illinois State (12–4, 4–0) looms as a real challenger for the conference crown, though the Redbirds don’t have any shot at an at-large bid. The Mountain West is likely a one-bid league, with Boise State (11–4, 4–0), Nevada (14–3, 3–1) and San Diego State (8–7, 0–3) the top three teams in the conference. The Aztecs are off to a bad start, with losses to Boise State and Nevada, so that nonconference win over California will be essentially useless. Nevada will likely go all season with just one game against a kenpom.com top-50 team, and the Wolf Pack got run out of the gym by Saint Mary’s in that game. They’re also off the at-large radar. That leaves Boise State, which beat SMU and held its own at Oregon. But the Broncos have lost to Charleston, Mississippi State and Evansville, and won’t be building their résumé in a weak Mountain West. It’s almost certainly conference-tournament-title-or-bust for all three. Finally, there does not seem to be a Monmouth in the country this year. UNC-Wilmington (15–2, 4–0) is shaping up as a beast in the Colonial, but the Seahawks’ best wins out of the conference came against St. Bonaventure and Middle Tennessee State. UT-Arlington (12–4, 2–1) is a dangerous team out of the Sun Belt, with wins over Saint Mary’s and Texas. Losses to Minnesota, Arkansas and Florida Gulf Coast would have called into question the Mavericks at-large bona fides, and that was before a loss to Texas State to fall to 2–1 in conference. Finally, Oakland (14–3, 4–0) and Valparaiso (12–4, 2–1) will give the college basketball world an exciting fight for the Horizon League crown, with the Grizzlies drawing first blood in Indiana last week. Neither team, however, did enough out of conference to warrant at-large consideration. Oakland went 1–1 against potential at-large teams, beating Georgia but losing to Michigan State, and also fell to Nevada and Northeastern. Valparaiso has solid wins over Rhode Island, Alabama and BYU, and challenged itself by scheduling Oregon and Kentucky, but that just doesn’t add up to an at-large bid.